Firmware is software that's embedded in a piece of hardware. You can think of firmware simply as "software for hardware." However, firmware is not an interchangeable term for software. Devices that you might think of as strictly hardware such as optical drives, a network card, a router, a camera, or a scanner all have software that's programmed into a special memory contained in the hardware itself. Manufacturers of CD, DVD, and BD drives often release regular firmware updates to keep their hardware compatible with new media. For example, let's say you buy a 20-pack of empty BD discs and try to burn a video to a few of them, but it doesn't work. One of the first things the Blu-ray drive manufacturer would probably suggest is to update the firmware on the drive. The updated firmware would probably include a new set of computer code for your drive, instructing it how to write to the particular brand of BD disc you're using, solving that problem. Network router manufacturers often release updates to firmware on their devices to improve network performance or add additional features. The same goes for digital camera makers, smartphone manufacturers (like iOS and Android), etc. You can visit the manufacturer's website to download firmware updates. One example can be seen when downloading the firmware for a wireless router like the Linksys WRT54G. Just visit that router's support page (here it is for this router) on the Linksys website to find the downloads section, which is where you get the firmware. It's impossible to give a blanket answer for how to install firmware on all devices because not all devices are the same. 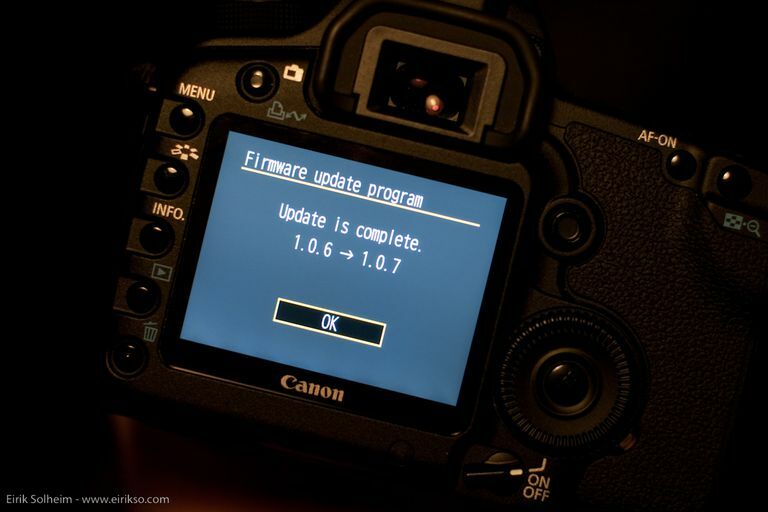 Some firmware updates are applied wirelessly and just seem like a regular software update. Others may involve copying the firmware to a portable drive and then loading it onto the device manually. For example, you might be able to update the firmware on a gaming console by just accepting any prompts to update the software. It's unlikely that the device is set up in a way where you have to manually download the firmware and then manually apply it. That would make it much too hard for the average user to update the firmware, especially if the device needs firmware updates often. Apple iOS devices like iPhones and iPads also occasionally get firmware updates, as do Android phones and tablets. These devices let you download and install the firmware from the device itself so that you don't have to manually download and install it yourself. See How to Update Your Android OS as an example. However, some devices, like most routers, have a dedicated section in the administrative console that lets you apply a firmware update. This is generally a section that has an Open or Browse button that lets you select the firmware you've downloaded. It's important to review the device's user manual before updating the firmware, just to make sure that the steps you're taking are correct and that you've read all the warnings. See How to Upgrade your Router's Firmware if that's what you're doing, or visit your hardware manufacturer's support website for more information on firmware updates. Just as any manufacturer warning will display, it's extremely important to make sure the device that's receiving the firmware update doesn't shut down while the update is being applied. A partial firmware update leaves the firmware corrupted, which can seriously damage how the device works. It's equally important to avoid applying the wrong firmware update to a device. Giving one device a piece of software that belongs to a different device can result in that hardware no longer functioning like it should. It's usually easy to tell if you've downloaded the right firmware by just double-checking that the model number corresponding to that firmware matches the model number of the hardware you're updating. Like we already mentioned, another thing to remember when updating firmware is that you should first read the manual associated with that device. Every device is unique and will have a different method of updating or restoring a device's firmware. Some devices don't prompt you to update the firmware, so you have to either check the manufacturer's website to see if a new update has been released or register the device on the manufacturer's website so you can get emails when the new firmware comes out.